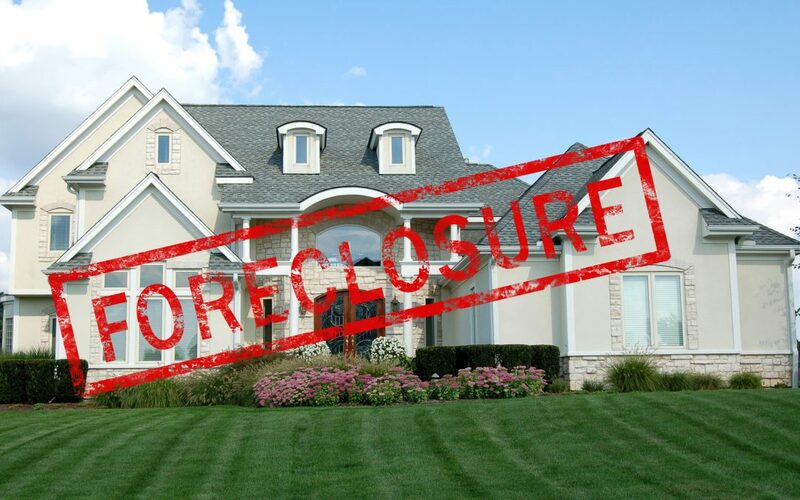 Foreclosure Inspections 101: Can You Buy A Foreclosed Home And Still Have An Inspection? A foreclosure happens when a homeowner defaults on a mortgage or taxes. Sometimes the home goes up for auction, and sometimes they become the property of the lending bank or another federal agency. The home is then sold as is. As a result, many people who buy foreclosed homes find a long list of unwanted problems. Is there any way to prevent buying a home with these problems? You may be concerned about whether or not you’ll be able to get a home inspection. Can you buy a foreclosed home without sacrificing a home inspection? Continue reading below to find out more. Different types of inspections will occur at different times in a house’s life. A house may see a multitude of families over the course of a few decades. The house may even see foreclosures. This continuous passing of hands will result in a series of inspections as the house changes ownership. A home inspection will typically accompany a traditional home purchase. The inspector will check the condition of ventilation systems, walls, windows, the foundation, the roof, and more. Following the home inspection, the inspector will issue a written report. The potential buyer uses the information to decide whether or not to purchase the property. Property inspections differ from home inspections in that they accompany foreclosures. They aren’t as comprehensive as home inspections. They typically take place during a drive-by of the property. Property inspections serve the lender to check on the condition of the property. They need to know whether or not the homeowner still occupies the home. Foreclosed properties are vulnerable to vandalism, storm damage, and other forms of degradation. These quick inspections allow the lender to keep an eye on the property. If you plan to buy a foreclosed property, you can expect to take on the responsibility of paying for inspections. Properties owned by the Department of Housing and Urban Development will always sell as-is. The HUD doesn’t take on the responsibility of performing any inspections. The HUD allows winning bidders to perform inspections but won’t pay for them. The HUD won’t cancel a winning bid if the buyer finds something wrong. Should the inspection reveal any necessary repairs, you’ll be responsible for those. Each federal agency has a different policy concerning pre-sale inspections. You cannot preview a tax-foreclosed home before you buy it. On the other hand, HUD homes often sell through approved brokers, making them available to preview before you buy. The same is true for real estate-owned homes. Any house sitting empty for a long period of time will inevitably develop some sort of issue. Lack of use of certain utilities could lead to deterioration. For example, unused pipes may get overwhelmed when you put them to use. Vacant homes have a tendency to grow mold. It doesn’t require leaks or any breakdown of utilities. Mold only needs moisture to grow and thrive. If a home is left without proper ventilation, moisture gets trapped inside and condenses on surfaces. A dark and damp environment is perfect for mold to take hold. If you plan to buy a foreclosed property, you need to take caution. A quick peek in the windows could reveal whether or not the house is missing appliances or flooring. A quick peek inside will not, however, reveal to you any mold. Keep in mind, mold will start growing in a vacant home in places you might not expect. If you have the opportunity to perform an inspection before buying, you should do so. Absolutely. The HUD and banks won’t pay for inspections on foreclosed homes. It’s up to the bidder to request the inspection and pay necessary fees. You’ll also be responsible for fixing any problems you find. It’s not uncommon for issues to arise even after inspection. For example, electrical issues concealed within the walls may go unnoticed. Some issues may have existed when the previous owners occupied the home but went unnoticed. This is common with elderly couples who sell their homes. An elderly couple will often use utilities far less than a family of five. Let’s say the couple lived in the home with a fractured sewage pipe. The elderly couple may have been able to use the utilities without knowing. If a young family moves in, they’ll use the water far more often. This can put stress on a sewage system. These problems may arise even in homes that haven’t been foreclosed on. Can You Buy a Foreclosed Home? Foreclosed homes are put up for auction, usually through a certified real estate broker. Because they’re sold at auction, you’ll need to place your bid with the broker. The house will go to the highest bidder. Be careful before you bid on a foreclosed home. You won’t know of any serious problems the home may come with unless you get a thorough inspection. Depending on the policy of the agency who owns the home, this may be more or less difficult. Regardless, you’ll need to consider the cost of the inspection and any necessary repair costs. Buying a foreclosed home can be a wise investment in some cases. Often, you may be able to get the home at a reasonable price, freeing up extra cash to use on renovations. You should consider whether or not you can take on the financial responsibility of any issues that could arise. In short, it’s up to you to get the inspection done if you plan to buy a foreclosed home. Check with the respective agency to see how you can go about doing so. Each has its own rules and regulations. Can you buy a foreclosed home without foregoing the inspection? The simple answer is yes, but it could pose a risk to you and your wallet. To find out more and schedule an inspection, fill out this form.